Let’s say you’ve been injured at work, and you file all of the necessary forms to submit your claim. The insurer takes its time – up to 30 days – to accept or deny your claim. Then, much to your surprise, the insurance company denies your claim. What now? The wise thing to do is to hire an attorney in order to fight to get your claim accepted. It is not advised that you attempt to litigate your case on your own without an experienced attorney with in-depth knowledge of the workers’ compensation system. So now let’s assume that you’ve hired an attorney, and have filed a request to have a hearing in front of a Hearing Officer to contest the denial of your claim. At the hearing, your attorney argues that the statutory requirements have been met and that your claim should be compensable. When you get the decision from the Hearing Officer, you win! The Hearing Officer reverses the insurance company’s determination to deny your claim! A win is a win, and your claim should move forward, including seeing a doctor and being paid temporary total disability if you were off work… right? Unfortunately, this isn’t always the case. The insurance company has 30 days to file an appeal. Typically, the insurance company will appeal the decision and also file a Motion for Stay when they appeal the decision. A Motion for Stay is a legal document that the insurance company files that asks the Appeals Officer to order that the insurance company does not have to comply with the Hearing Officer’s order. This is almost always done. The insurance company will argue in their motion to the court that the Hearing Officer’s decision should be put on hold until everyone appears in front of the Appeals Officer. 2. If the claim goes forward and the insurance company has to pay for medical treatment and other benefits under the claim, the insurance company will not be able to recoup payment for that treatment and other benefits once it is paid out. As the injured worker, you should always file an Opposition to the Motion for Stay. An Opposition to a Motion for Stay is a legal document that opposes the insurance company’s motion to put your claim on hold. If you do not file an Opposition, the Appeals Officer is likely to grant the insurance company’s Motion for Stay and your claim will be put on hold until you have your day in court. After you file an Opposition, the insurance company will be able to file a Reply to your Opposition based upon what you argued to the court. After all of that takes place, the Appeals Officer will either grant the stay or deny the stay. What happens if the stay is granted? That is where the win you had in court is not really a win. If the stay is granted, the insurance company does not have to administer your claim – in effect, it is as if your claim had not been accepted and you did not win in court. You will still have your day in court on appeal as the winning party, but you will have to wait for all of the benefits you are due, if you even end up getting them at all. What if the Motion for Stay is denied? In this scenario, the insurance company will have 10 days to comply with original Hearing Officer’s order and your claim will be administered. Only at this time does a win become a win. This is a very difficult area of the already convoluted workers’ compensation system. 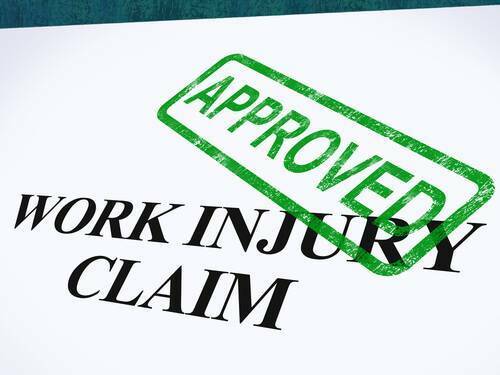 It is always advised that you seek an experienced Las Vegas workers’ compensation attorney who is able to assist you in obtaining all of the benefits that you are entitled to under Nevada law. If you don’t, your win may never become a win. To schedule a free consultation with an attorney at Shook & Stone, please call (888) 662-2013, or fill out an online case evaluation form.